Steps are being taken to investigate the case and ensure safety of patients and staff. Update June 26, 2018: Since the Legionella case that occurred approximately five weeks ago in the Seattle Cancer Care Alliance hospital located at UW Medical Center (UWMC), no additional cases of healthcare-associated Legionella pneumonia have been identified. The medical center began an augmented water-chlorination process as an added precaution on June 8 under the guidance of our Water Management Committee. It is anticipated that chlorination process will continue for the next two weeks. Staff were asked to advise patients to drink and brush their teeth with bottled water during the chlorination process. Patients may continue to order bottled water with their trays from room service. 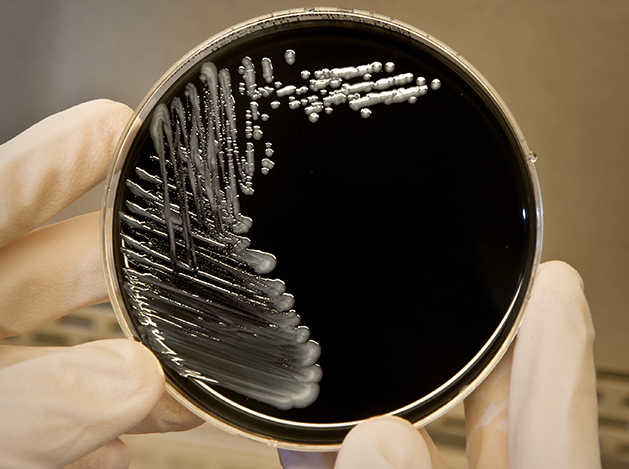 UW Medicine and the Seattle Cancer Care Alliance (SCCA) report that one patient in a SCCA Hospital at UW Medical Center has been diagnosed with a highly probable healthcare associated Legionella pneumonia. The patient is currently in satisfactory condition and responding well to treatment. This is believed to be an isolated case, and Legionella bacteria are rarely, if ever, transmitted from person to person. UW Medical Center and SCCA have notified patients and families who are currently on the unit where the infection was discovered. Extensive environmental testing is underway to identify a possible source for this exposure. Preliminary results from these tests will be available in approximately one week and final results in about two weeks. The two rooms where this patient received care have been taken out of service pending culture results from water sources in the rooms. The ice machine from the unit where the patient was located has been replaced. All patient respiratory specimens are being tested for Legionella bacteria. Patients with pneumonia are being tested for Legionella. This is the first case of suspected healthcare associated Legionella pneumonia to occur within UW Medical Center or the SCCA Hospital since two cases occurred in August 2017. In response, UW Medical Center installed special filters on all showers and sinks in the inpatient rooms in the Cascade Tower. A robust water management plan was also developed that includes testing and monitoring of water temperature, chlorine levels and presence of Legionella. All known facility-based risk factors that may have contributed to prior cases were mitigated. The effectiveness of the filters has been validated by testing. Legionella bacteria are typically transmitted via inhalation of aerosolized water droplets containing Legionella, or less commonly, via aspiration of drinking water. Hotels, long-term care facilities and hospitals are common settings for outbreaks. In these types of facilities, sinks, water fountains, ice machines, showers, hot tubs, cooling towers and other water systems are likely sources of infection. UW Medicine and the SCCA are working closely with Public Health – Seattle King County and the Department of Health to investigate this case and to ensure the safety of patients and staff.